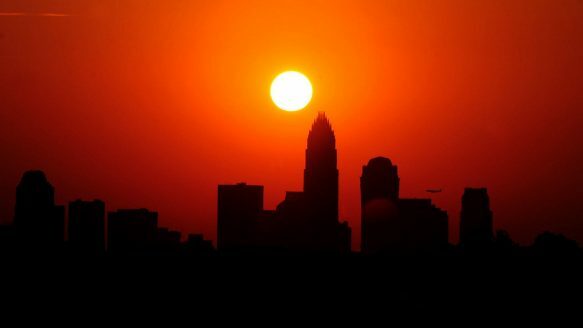 Environment • Triad Biz Can Mayors Lead the Charge Against Global Warming? TRIAD NEXT: On Saturday, Dec. 6, my first evening in Lima, Peru, for the UN climate summit, I had the good fortune of meeting Riley M. Duren, a chief systems engineer with NASA’s Jet Propulsion Laboratory in Pasadena, Calif. For an hour or so in the lounge of the Lima Westin, after a long day of presentations at the Global Landscape Forum, Riley talked to me about an issue I had never really thought of before: the role of cities and mayors in the climate change equation. This entry was posted in Environment, Triad Biz and tagged Climate change, COP20, Global Landscape Forum, global warming, Jet Propulsion Laboratory, NASA, Riley M. Duren, UN climate summit on December 20, 2014 by Justin Catanoso.